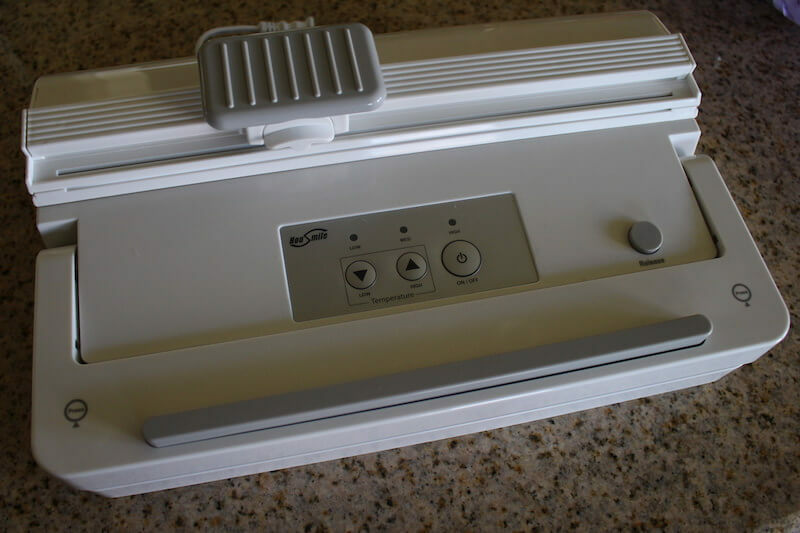 Housmile Vacuum Sealer Review: How Does It Compare To More Well-Known Brands? Firstly, you may not have heard of Housmile. I hadn't either! They offer a wide range of kitchen and home product. Here's a quick screenshot of just a small portion of what's shown on their website. Their Amazon store is really impressive as well, so I think they do a lot of commerce through Amazon. Honestly, when I first opened the box, I wasn't too impressed with the design. It seemed quite bulky compared to the portable sealer I just worked with a couple weeks ago, and I wasn't sure what that big round part in the back was. The buttons looked a bit “90's”, and the brand wasn't familiar. But then again, I'm a dude, and I don't really care what my products look like that much, as long as they work well. Time to get started with this thing. After digging around inside the box, I found a tiny instruction booklet with a bit of minimal instructions for how to use the sealer. Unfortunately, it wasn't detailed enough. I was still confused. I could see how the sealer itself worked, but there were a lot more buttons than descriptions, and no visual representation or diagrams of what should happen. 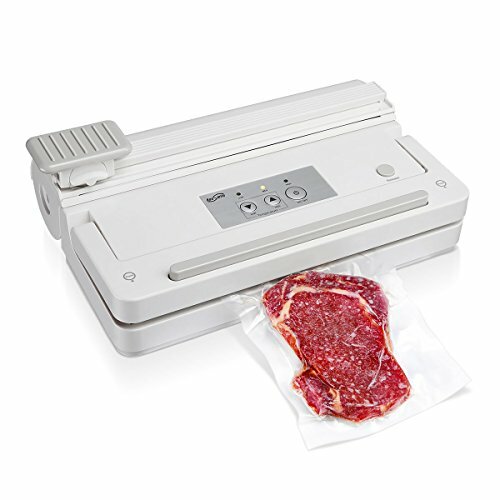 Every vacuum sealer is different, so they aren't always intuitive. For example, I can see the high temperature tape. However, why would I need to use low/medium/high settings? For different types of bags? Different types of food? Also, should I press lightly on the “seal pressing point” to seal the bag, or will everything happen automatically? What does the Slider do? 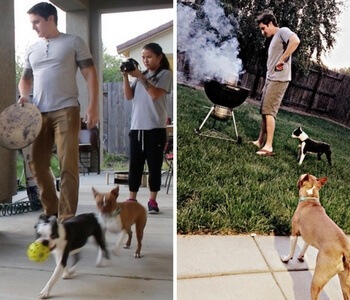 These things were not obvious, and took a bit of experimentation. Let me break things down more simply. This is the big fat area in the back of the sealer. It's too big in my opinion. If I have that many bags, I'm going to store them flat, in a separate area. You can definitely store a lot of bags back there, but they will be all mashed up. It looks almost as if you could put them on a roll (like paper towels), but no rolling device was found inside. The cutter is very useful! You always get a straight cut on your bags if you need to make them smaller. Still, a long, continuous vacuum sealer bag roll would be super convenient, so you can just pull out your perfectly-sized bag each time then cut it off. Too bad that's not what's going on here. Maybe for the next model! You don't need to do much with this unless you are making your own seal on a cut bag. I cut a bag in half to seal up some pecans in a small sized bag. However, this left both ends open. To seal up one end, I had to press down on the sealing bar to close up that end of the bag. With normal vacuum sealing, this will press down by itself. Once the bag is sealed, you press this button to release the pressure on the bag and lift up the clamp part of the vacuum sealer. It releases your bag, simple as that. This is where you place your bag edge to seal it. I had a lot of trouble finding the correct spot to place my bag. When I cooked the pork chops, it went off without a hitch every time. 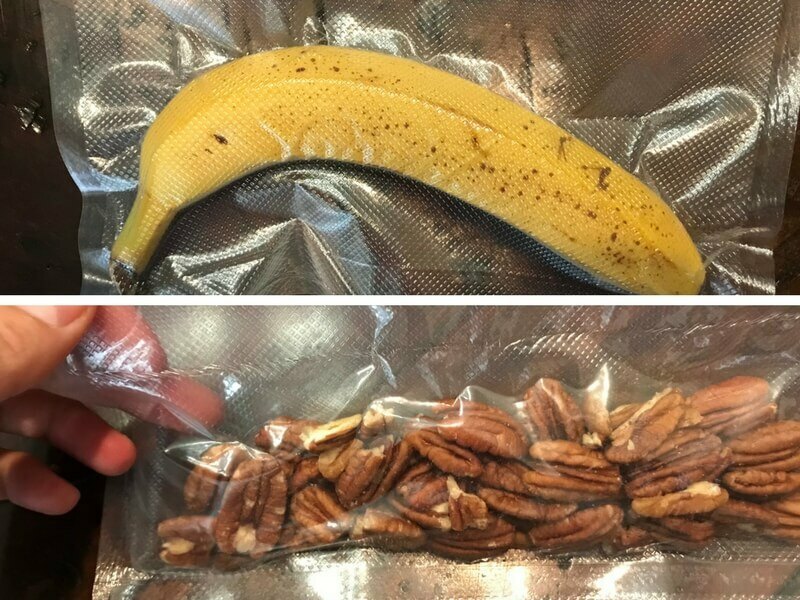 However, when using smaller bags for the banana and pecans, it took about 10 minutes to get those two bags sealed properly. Knowing how to place your bag will come more easily as you gain familiarity with the machine, but I had more difficulty than normal with the Housmile brand sealer. The great thing about the attached bag cutter is that you can cut any size bag you want! The banana sealed perfectly, but there wasn't enough power to seal the pecans properly. Of cours, the best part of testing a vacuum sealer is cooking sous vide meat. A sealer is just a couple of the tools you need to start cooking sous vide but oddly enough, it's not one of the vital ones. Normally, Ziploc bags do fine. However! 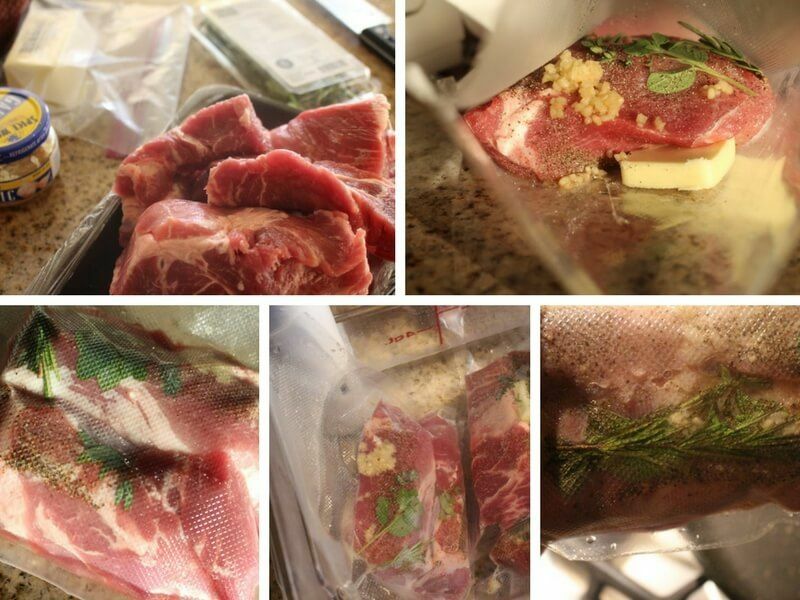 As you start cooking more and more sous vide meats, you start to realize how annoying and inconvenient Ziploc bags are. They sometimes break when cooking for more than 24 hours, and many times the zippy part will not seal properly and open up in the water bath, getting your high end immersion circulator all greasy. Ugh! Upgrading your kitchen and using vacuum sealer quality bags with a heat seal will improve your sous vide cooking immediately. Another awesome bonus to using a sealer is that you get rid of far more air in your bags, meaning they do not float, and the meat cooks with less hassle. For testing the Housmile sealer, I cooked some pork blade pork chops. Yes, some of the meat was touching, but I made sure to cook them a little longer, and seared them extra to ensure the meat was properly cooked all the way though. How the meat turned out isn't so relevant to the sealer, but just FYI it was delicious. The bags held up fine, and the seal held perfectly. No complaints! Currently, this model of vacuum sealer from Housmile is in the middle of the road. It's not super cheap, since some sealers are as low as $30. It's not super expensive though, since some range up to $150+. My favorite inexpensive vacuum sealer is currently the Nutrichef brand. It's got a sweet-looking exterior, and I love the Nutrichef brand. It's kind of hard to beat this deal if you're on a budget. The downside to small sealers like this is that they typically come with less vacuum strength, meaning you won't get great seal on certain types of foods, and they may break down more frequently than a heavy duty one. If you do sous vide cooking and a bit of freezing from time to time, the portable option is great. If you do serious meal prepping for fitness/weight loss or large scale disaster prep, you'll definitely want to go bigger. 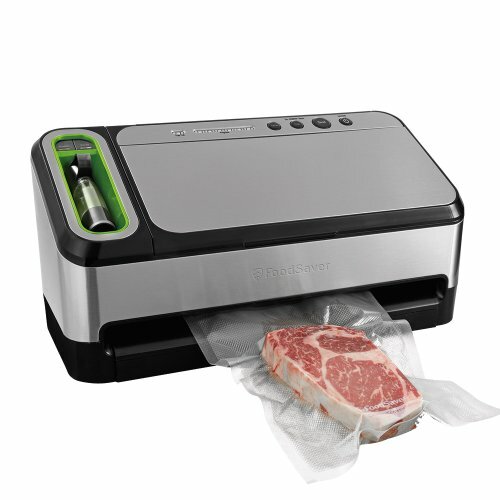 The brand leader for vacuum sealers is FoodSaver. They have thousands of positive reviews for their products on Amazon, many years of experience building great products, and multiple models to choose from. However, you're going to pay for all that, and these guys are not cheap! 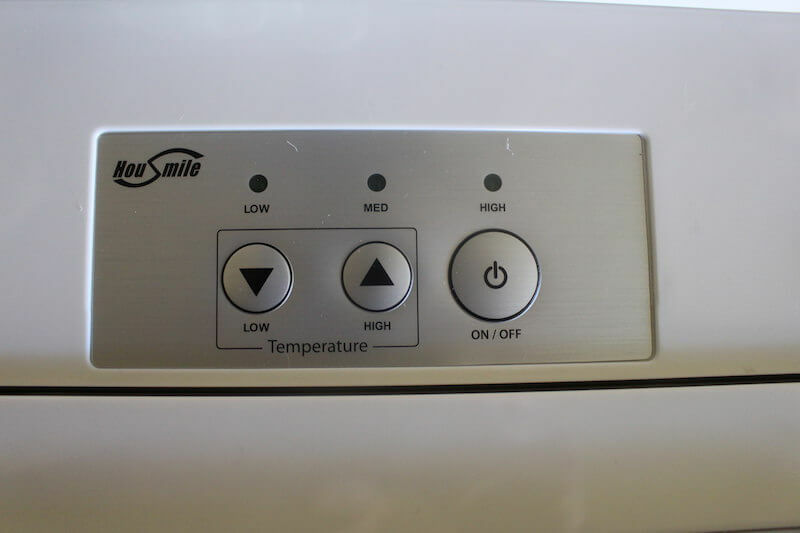 Housmile fits right in the middle in terms of pricing, but it just doesn't perform in terms of design. 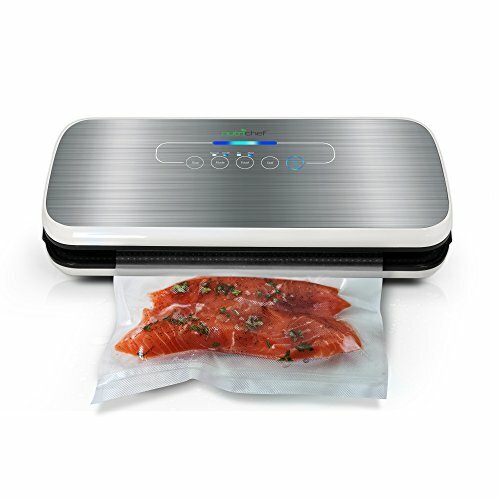 Should You Buy The Housmile Vacuum Sealer? The Housmile vacuum sealer performed well, and did as expected, no better, no worse. However, this particular sealer doesn't stand high on my list of product recommendations. It doesn't seem to have any unique features that make it stand out form the crowd to make it an “amazing buy” versus any other brand or model. The main unique feature seems to be the bag storage and bag cutter, but for me, those are not must have features. Personally, I'd rather spend less money on a slim, portable sealer for doing small jobs, or spend more money on a heavy duty sealer for doing big jobs. But what are your personal needs? Perhaps you are looking for precisely what Housmile offers – an inexpensive, yet strong sealer that you won't mind beating up for a while then trading in for a newer model. 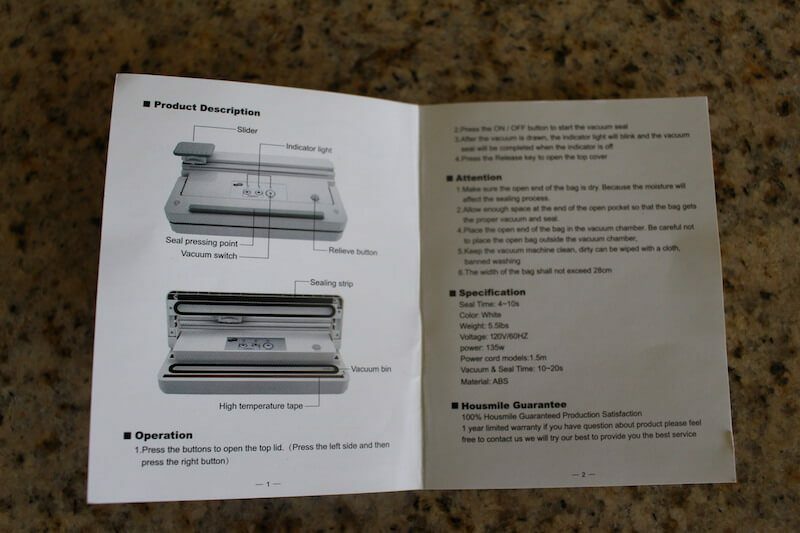 You are here: Home / Kitchen Tools / Housmile Vacuum Sealer Review: How Does It Compare To More Well-Known Brands?